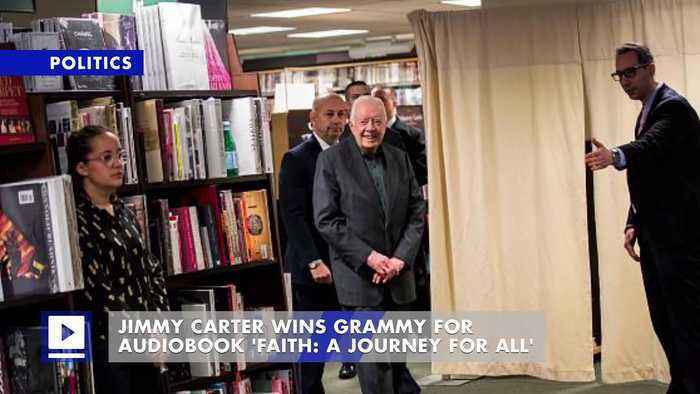 Jimmy Carter Wins Grammy for Audiobook 'Faith: A Journey for All' It is the third career Grammy award for the former U.S. president in the Best Spoken Word Album category. 'A Full Life: Reflections at Ninety' netted him another Grammy in 2016. Carter has now been nominated nine times at the Grammys, all for Best Spoken Word Album. In his latest audiobook, Carter talks about how religion has guided him in life. Since its release last March, 'A Journey for All' has become a New York Times bestseller.